As Webster University continues its path toward a more inclusive global community, it is important to share steps our community collectively has taken to strengthen and nurture this core value. It is likewise helpful to consider the contexts which test these values. The aftermath of the national elections in the United States showed us that, as many predicted, heated debate would continue as people differ on the direction and values conveyed in policy and political speech. It also reminds us that the commitments we make to an inclusive community must be upheld at all times, regardless of the nature of ever-changing current events: For us to build, protect and reap the intellectual benefits of a truly global community of fellow neighbors, we must engage each other with humility, understanding and respect. We must afford one another the opportunity to participate in our community in a safe setting, to express and explore our differences without being subject to intimidation or marginalization. We must be firm that hate speech has no place at Webster. As Webster University’s diversity statement makes clear, these commitments are not limited to any single setting; our operational definition of diversity and inclusion is intentionally broad. 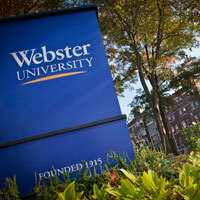 Recognizing the importance of these values and the unique nature of our global network of campuses, Webster University continually seeks input and partnership from a variety of organizations that specialize in fostering inclusion within diverse institutions. These relationships help us continually improve our policies and approach — indeed, the range of outside perspectives they provide is itself a testament to how diversity can fuel stronger outcomes in a community. The Bias Incident Reporting Form, where members of the community can anonymously report an occurrence of hate or bias, has launched and will be promoted via several communication channels. To kick off voluntary diversity and inclusion conversations and reading groups, Webster welcomed Arnd Wacther to campus for a screening of his Crossing Borders films. All three films in this series, as well as curricular tools to use them with students, are available online via the University Library. The Multicultural Center and International Student Affairs has been hosting weekly conversations for student dialogue post-election on Wednesdays in the Global Exchange space. Last spring the Diversity and Inclusion Working Groups, comprised of students, faculty and staff, were formed to investigate ways to improve the admissions, retention and graduation rates of minority groups, increase the number of scholarships and grants available to underrepresented students, and increase the diversity of the faculty and staff. They posted their latest reports at the beginning of the fall, and final reports are expected by the end of 2016. The planning group for Webster diversity and inclusion training is working with a number of students for their input into shaping this initiative. A leadership group is exploring potential programs for faculty to address concerns raised by students about diversity and inclusion issues in the post-election environment. Program development is well under way for the next Diversity and Inclusion conference on March 1-2, 2017. To learn about these and other on-going initiatives, we encourage you to visit the Diversity and Inclusion section of webster.edu. It is a robust resource that is frequently expanded and updated with new initiatives and resources incorporating the latest best practices. As we enter the final month of the fall term, we thank the many members of our community who have led the charge in spearheading these initiatives, who have provided their ideas and feedback to improve them, and who have embraced this transformative path as something that defines what Webster is and what we as a community aspire to be.